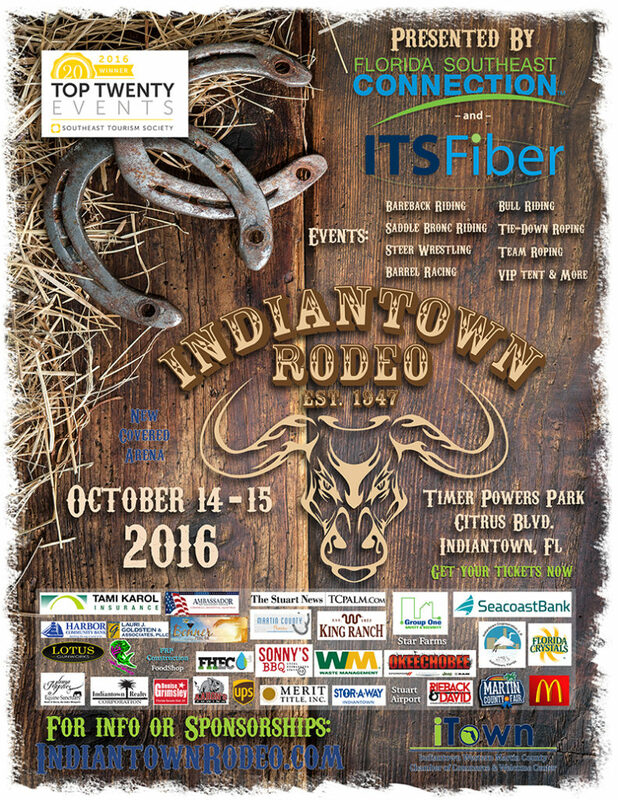 The Indiantown Rodeo will be held on Oct 14th through 15th, 2016 at Timer Powers Park in Indiantown. This event is sanctioned by the PRCA and the WPRA. For more information about the Indiantown Rodeo contact the Professional Rodeo Cowboys Association, Women’s Professional Rodeo Association. All inquiries should be made directly to the promoter, including vendors looking for tables and contestant information for the rodeo. This will be the 69th Anniversary of the Indiantown Rodeo, so come on out and enjoy all of the fun and excitement!